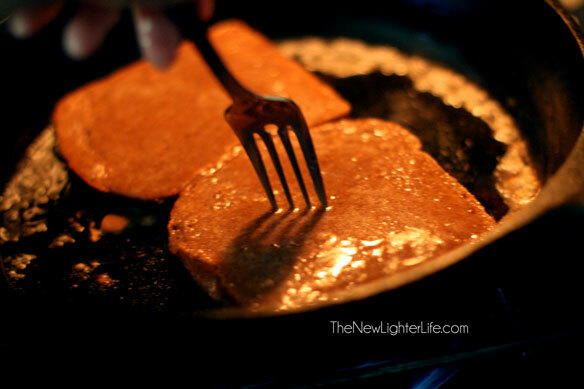 Since I’m following THM, once a week I make these Protein Packed French Toast (and it’s not even considered cheating). Trim Healthy Mama has a french toast recipe (p. 239) but they recommend you eat a lean protein, such as cottage cheese. This is to make sure you get enough protein for the meal. I’m not fond of cottage cheese. 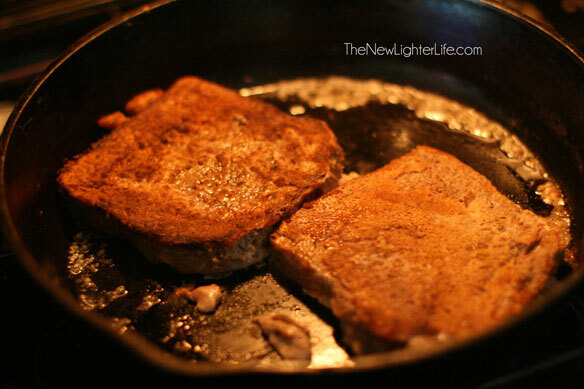 To fix the problem, I devised this Protein Packed French Toast recipe. With this recipe, I can eat my beloved french toast and not have to choke down the cottage cheese. Go for the unsweetened original almond milk, (check label to make sure it is carrageenan free). So without further delay…here it is. 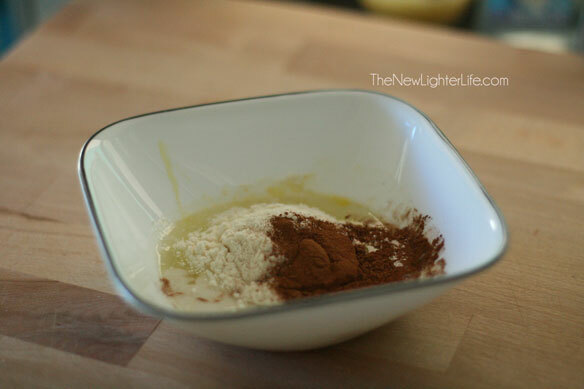 Mix egg whites, 1/2 scoop of protein powder, cinnamon, and almond milk in a bowl. Mix well, the protein powder has a habit of clumping up but don’t be deterred. Pour mixture into a plate or pie pan. Let each slice of bread soak for about a minute. Flip bread to soak up most of the remaining protein mixture. Place soaked slices into a hot pan, coated with a little bit of butter so they don’t stick. Pour the remaining protein mixture over the frying french toast and puncture the toast with a fork so it can absorb the remaining protein mixture. Flip toast and fry the other side. Serve with your syrup/sweetener of choice. Now if I was a good girl, I would make Gwen’s zero calorie syrup. Or I’d top with some berries. But as a busy mama, I grab my sugar-free “maple” syrup, you know the kind with artificial sweeteners in it that’s not good for you. Someday I’ll make Gwen’s but for now, this works for me and my limited refrigerator space. Since I eat these french toast once a week, I don’t feel so guilty about my syrup choice. According to the THM plan, it’s best to have at least 20 carbs/ meal for an E (Energizing) meal. I find that I can’t eat more than 2 pieces of these french toast, it’s that filling. So how do you top your french toast? I would love to hear if there are some easy store-bought options that don’t spike sugar and are healthy. Purdy please with aspartame on top! OH YUM!!! I’m totally trying this. I’d use the berry syrup (on my blog) or the stevia one, which is super yummy! I’m totally trying this the next time I make the French Toast! Hope you enjoy them Stacy! Thank you! Thank you Julieanne! I’m glad you tried them out. They hit the spot! 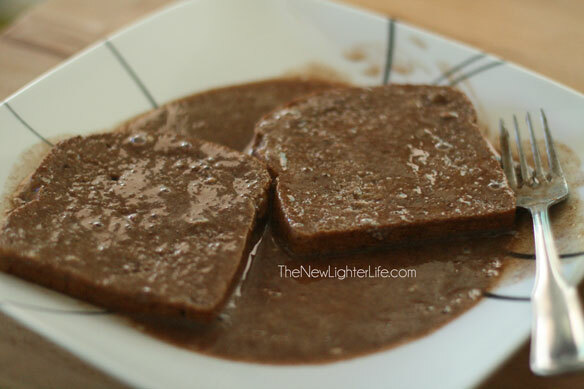 Can ivuse coco powder imstead of chocolqte whey? If you did, the french toast would no longer be protein packed. I’m sure it would taste great thought. Just not a higher protein french toast. I would/will slice strawberries and sprinkle with a little approved sweetener and let that sit while I make this french toast. Then it will all get a little bit of fat free whip cream to top it off!! I use Nature’s Hollow xylitol syrup. I buy it from Swanson. It is outstanding! I realize that this is an old post that I am commenting on but I want to caution you about comparing Alpine “Sprouted Wheat” bread with Ezekiel Sprouted bread. 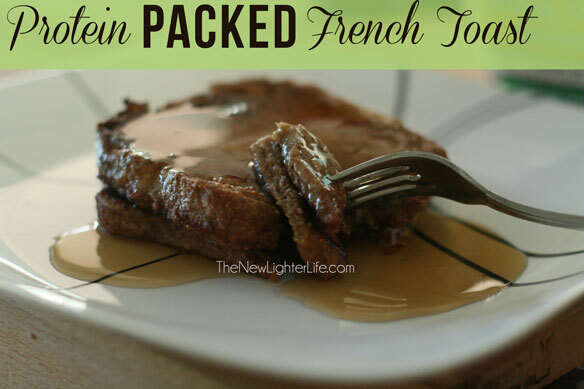 I just saw the recipe for Protein Packaged French Toast on Pinterest the other day. When I went to Costco today I realized that they have the Alpine bread that you show a picture of on this post. In looking at the ingredients I saw that the first ingredient is whole wheat flour and then sprouted wheat flour. Sprouted wheat is much easier for your body to digest and I don’t do well eating much whole wheat flour. I’m glad I checked the label. Thank you so much Marie! I had never noticed it before and I’m so disappointed. I appreciate you letting me know! Hi, the Swanson ‘ s whey protein powder is not on plan. First ingredient is whey concentrate. It appears to be a mix of isolate and concentrate but since the formula changed some time ago it is considered off plan now. You are right Rachel! Thank you for the heads up!